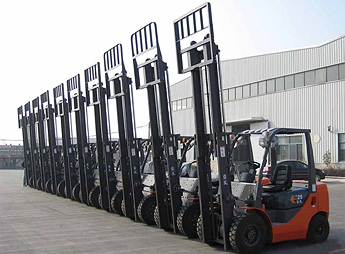 B&J has many rental forklifts to choose from. Whether you are lifting 2,000lb or 50,000lbs B&J can help you move the product you need with the forklifts you need. Free 5 Gallons of Fuel on all Diesel Trucks. Let us handle moving the rental forklift. Tell us where and when you need it and we will deliver it; its that easy. And on most rentals, maintenance is included. Ask about our flexible RENT TO OWN programs! Free 5 Gallons of Fuel on all Diesel Forklifts.